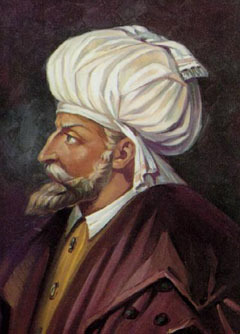 Upon the death of his father Mehmed the Conqueror, ascribed to poisoning at the hands of a Venetian agent, Ghiyas ud-din Jam was proclaimed Sultan of Anatolia. Ghiyas was defeated by his brother Bayezid at the battle of Yenishir, 20th June 1481. Ghiyas received Mamluk protection, and was able to flee to Rhodes and later Europe. He died in exile at Naples, 25th February 1495, leaving Bayezid as the uncontested sovereign of the House of Osman.